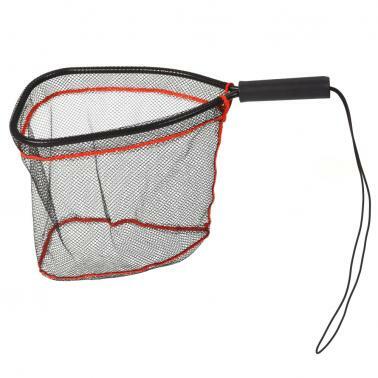 Protect your catch with this tangle landing net. 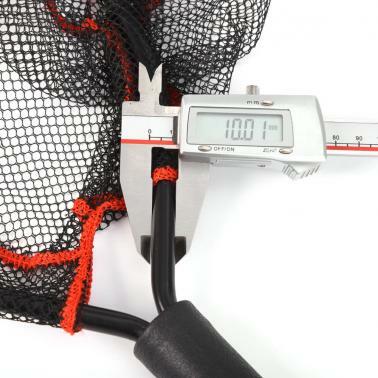 This high nylon net will reduce or eliminate snagged hooks and fish injuries. 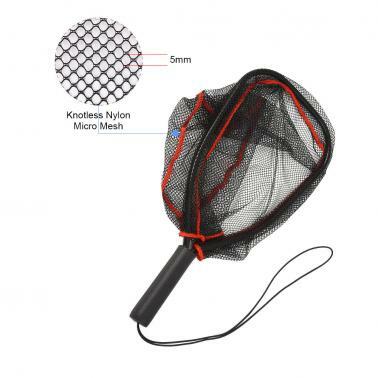 Particular good for catch-and-release fisherman, the smooth net design ensures your fish will be handled gently and has very little chance of getting tangled or snagged in the net basket. Hoop size: 12.8 * 8.3", aluminum material, solid and durable. 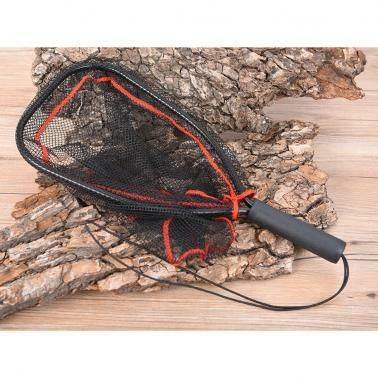 Black knotless nylon micro mesh, holes size: 1/8", net depth: 10", soft and fish friendly. 4.9" fixed ABS handle, high quality plastic non-slip grip with safety cord, easily loop around your wrist. Net weight: 153g / 5.35oz, strong, portable, light and easy to carry. Good size for trout, bass, crappy and perch for angler and fisherman.